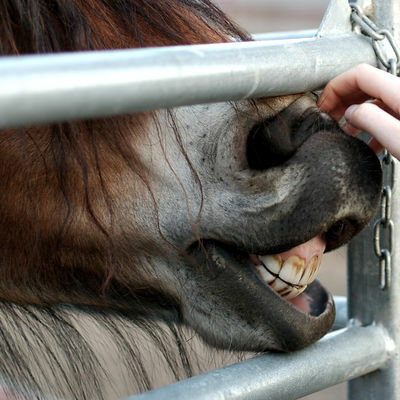 Regularly checking your horse’s teeth is vital to good health. Since a horse’s teeth never stop growing, problems can be commonly found. Just like humans, horses have 2 sets of teeth. By 9 months old horses have a full set of temporary or milk teeth, 24 in all. Permanent teeth replace the milk teeth over a period of 5-6 years. At 6 years old a horse has a full set of permanent teeth. The permanent teeth are large, yellowish in color and strong and will continue to grow through the horse’s life. Grazing will help wear them down. 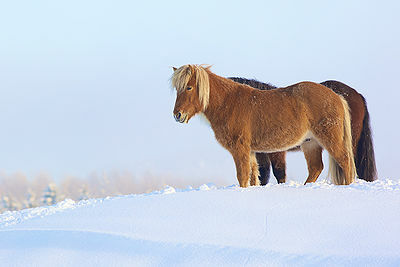 Signs of a horse’s discomfort can be problems eating, undigested grains in manure, fighting the bit, changes in behavior, poor coat condition, weight loss and sometimes colic. Horses should have regular dental checkups every 6 months. You can examine your horse’s mouth in-between times to check for any irregularities such as uneven teeth or sharp edges, making chewing difficult. Natural grazing helps with keeping teeth even. 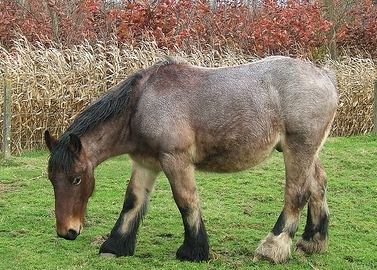 Horses will occasionally lose a tooth by being kicked or falling. 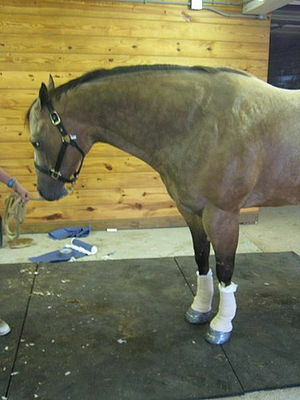 Dental problems are more common in older horses, but can occur with youngsters as well. Sometimes milk teeth are not shed and need extraction before causing permanent teeth to become impacted which can lead to infection. Regular dental checkups should be routine to help keep your horse in tip-top shape.